Every trader always concern about his trade. Some time he/she trade emotionally (including me).Someone take position by using different kind of parameter. But market moves on his own parameter. Actually market moves on by the position or run with the principle of supply & Demand. Yes, Forex market also depends on his supply & Demand mode. Let’s start what it is step by step. What are the laws of Supply and Demand? 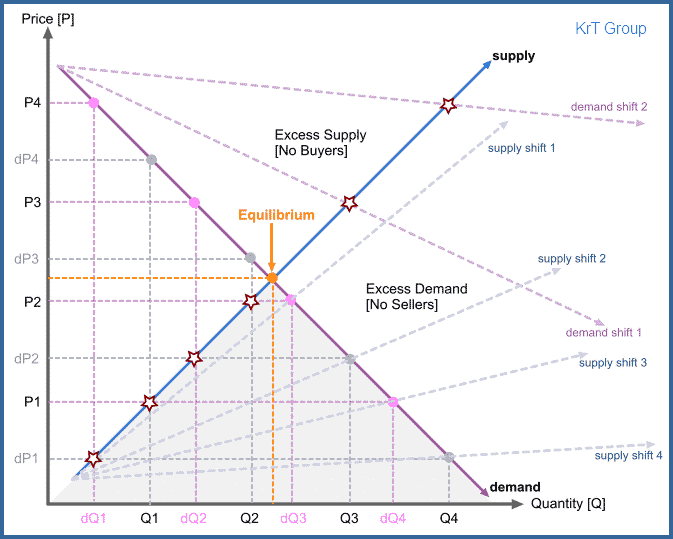 What is Supply and Demand trading? How do we use Supply and Demand trading in Forex and other financial markets? Supply and Demand is the heart of a market economy [Capitalism]. Since market economy is based on exchange of goods and services for a value, for it to function there has to be some goods and services on offer [supply] and people who are willing and able buy them [demand]. 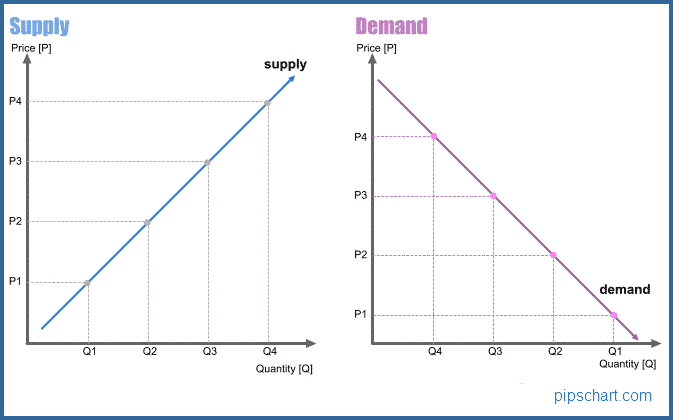 Supply and Demand in textbooks look as two separate things for study purposes but in reality they are strongly interconnected. One cannot exist without the other. In an ideal open market, prices are defined by supply and demand, creating a base framework for allocating resources in the most efficient way possible. However, in reality this is not always the case. Monopolies and regulators in certain sectors or systems can define prices as they like regardless of buyers. Prices may also be manipulated by speculators unnaturally thus overriding basics laws of supply and demand. As it can be seen on the above illustrations, suppliers will produce more when prices going up while buyers will increase their demand when prices are going down. A clear conflict of interest supposes to create a healthy and efficient market. That’s in theory, but in reality we know that there are situations when prices are going up but suppliers will not increase their output unless there are healthy competitions. Or buyers will not increase their buying even if prices are going down when they don’t have a buying power. In order to maximize their profits, suppliers [producers] will be offering more products and services for sale at higher prices. The supply increases as prices increase and decreases as prices decrease. At certain price levels, when there is a good enough profit margin, suppliers will increase their productions without demanding higher prices in order to increase profits. In order to save some money, people will buy more products at lower prices. At a lower price, more people can afford to buy more goods and services more frequently, than they can at a higher price. At lower prices, people tend to buy some goods and services as a substitute for more expensive ones. For the purposes of simplicity, Supply and Demand lines are drawn as straight lines. In reality they are curved. Equilibrium represents the ideal quantity and price match. It’s the intersection point where market reached optimum efficiency. For example we have 20 products for sale and 20 people willing to buy. No wastage whatsoever. However, in reality equilibrium cannot be sustained. It’s just a temporary point that may be reached from time to time for a brief period. For the life and everything else in this universe to continue we need minus and plus. When all things are equal nothing will happen. Sellers and buyers needs to keep fighting for the price to sell and buy. Sellers will want maximum possible high price while buyers will be looking maximum possible lowest price for the goods and services. Welcome to the markets. Depending on the economic climate supply and demand curves can move or shift either way, thus altering price and quantity structure. The above is absolute basics of Supply and Demand in open markets. My intention is to utilize them on ways to apply Supply and Demand in trading rather than detailed study of Supply and Demand itself. Supply and Demand in Currency Market-part 02 upcoming………. Good Article i really it thanks you share it nice information.